Simplicity in living, Happiness in every moment defines what I am. Hope to write a post now and then whenever I feel like. Interest in many things doesn't dull me. Just being ambitious is an achievement in itself. Once a week, I workout at the Orange Theory Fitness Center in Ashburn. 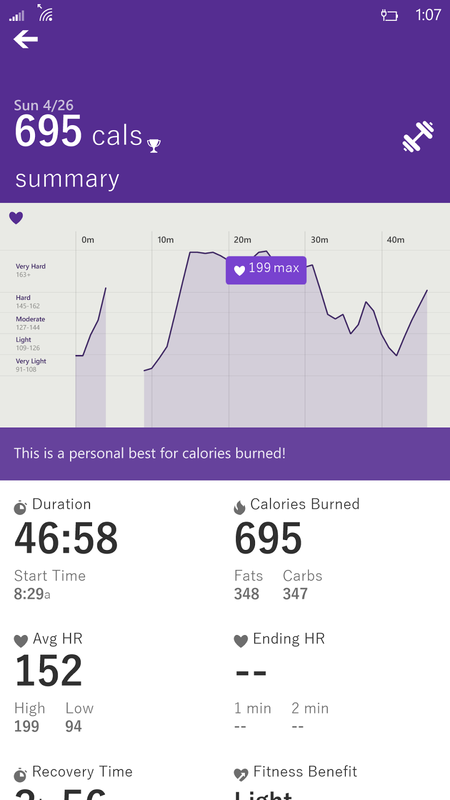 Being a Microsoft Band user, I wanted to check out how close are the metrics after the workout. They are highly accurate. 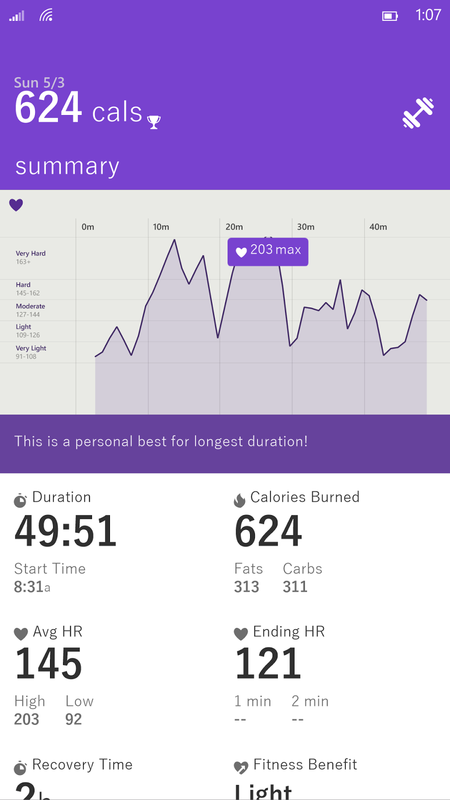 Way to go Microsoft Band !!! An interesting book recommended by an CPA friend started with an gripping chapter of how the Patel's started and thrived in USA with an Ideal Gambit. The rest of the chapters after the initial impressive chapter dwindled into various ideas and how the same ideas were being applied in parallel by different individuals to get ahead of the crowd. Overall it is an average book, preaching to be smarter than the rest, like the rest. For the last 3 months or so, I have been working out every Saturday morning at a gym. It is a group training session where around 20+ members follow the instructions of the trainer and burn at least 500 calories per hour. With the heart monitor strapped and the details displayed on the TV Monitor in the room, it is exciting and encouraging to work out. Sometimes it feels a bit of a paradox where it is inspiring to be competitive with fellow members also at the same time a bit discouraging when some members beat you in numbers. An idea is not worth a dime unless executed correctly. Harping on and around a topic to explain it is futile. I feel I wasted my precious time and feel it is useless in my limited experience. Book Money Master the game by Tony Robbins had some extra insights and very valuable content, but It is lengthy and should be edited for brevity. Many paragraphs made me feel Anthony Robbins is a fan of some of the achievers who have excellent track record and some material felt like promotion. I recommend readers of this book to get into the meat of the content and take action to gain from the knowledge. If Money Master the game was a software, I would recommend awaiting the next version which hopefully will be more trimmed and more action oriented. Really have not decided which books to read through next. Any suggestions would be welcome. Brought up as a TamBram I knew the verses of Bhagavad Gita coz of the non-stop chanting via the home Cassette player. Quoting Bhagavad Gita is almost synchronous with referencing the ultimate axiom of living. Every one who values anything has learnt it the hard way the value of it or is associating a value based on perception. It is serendipitous that I was brought up in Roha where Swadhyay, the way of living discovering the Gita is followed prominently. A wise person knows, it is a short lifetime to learn by doing all the mistakes so it is good to learn from the mistakes of others. That is the reason they put in efforts to learn from the existing literature and perceive the world around them based on their observation with limited exposure. The wiser the person gets the more importance is giving to classics whose lessons are priceless and stand the test of time. Bhagavad Gita is one such classic. Leaving aside the mythology, the gist of it is so omnipotent that I believe it is the ultimate decision guide for the living soul. Take your time. Read, understand, experiment and enjoy. The more I label something as a new year resolution, the more likely I might not accomplish it. As negative it may sound, it is a consistent observation. Here is my list of things to do and form new habits. 1. Write at least one post on the blog every single week. 2. Read or hear at least two books every month. Rate and Write a review. 3. Surprise at least one friend each month and catch up with what's going on. 4. Meticulously log intake and activities every day. 5. Exercise regularly and be more fitter than ever. 6. Put in sincere efforts to live in the moment. 7. No time wasting playing chess/other silly games online. 8. Meditate at least 15 minutes every week. 9. Get the to Point faster. Wishing you and your family a Happy Prosperous Healthy and Safe New Year ahead !!! Zen is attained when you no longer desire to attain Zen. Yet another acronym which surfaces now and then, which incidentally I do not believe in. Interestingly the Bhagavad Gita says the Soul cannot be destroyed and it wears a body after every birth. In short You are destined for rebirth based on your good Karma so YOLO is incorrect. X is the 24th Letter in English Alphabets which also resembles the multiplication sign. Interestingly X starts very few words but can also stand for Cross. Blame reading many comics and watching spoofy movies to make me mention "X marks the SPOT" for hidden treasure. "Teja Main Hoon, Mark idhar hain"